The Gustavus Lightbourne Sports Complex and the downtown ball park are full of energy at the moment, stop by and catch the fun! Under the theme “Youth, Your Moment is Now” the National Youth Day celebration commenced at 8am this morning with a walk and will continue on through late this afternoon with a talent competition. At my Tuesday frame making craft class at the tciyouthcentre all the kids were super excited for today’s festivities. Take a moment today to think about how you might be able to help TCI’s Youth find their moment. Give a smile, lend a hand, offer praise, and share your wisdom! This entry was posted in Edward C. Gartland Youth Center, holiday, Turks and Caicos Islands on September 30, 2011 by pepperkeystacie@gmail.com. Today tc millwork delivered fifteen beautiful mahogany doors so we are anxious to share but we must wait until installation is complete. Instead, take a peek at some beautiful bath woodworks from around the blogosphere. This superb built-in shows excellent craftsmanship and the windows frame it perfectly. 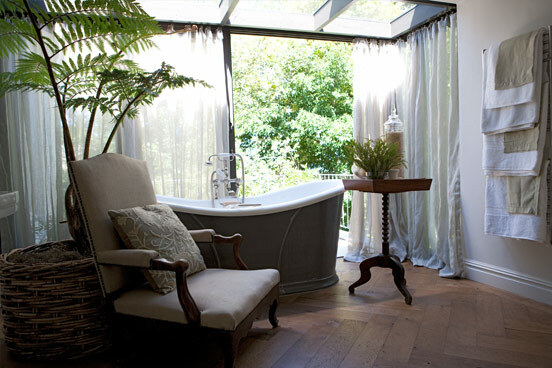 Love how this bath is soaked in natural light, ideal to showcase the herringbone floors. 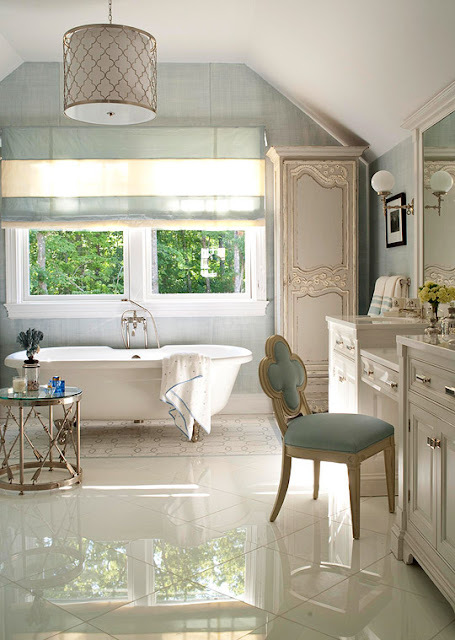 This feminine bath features an elegant built-in vanity and ornate wardrobe. This vintage inspired bath still feels soft and light despite the extensive chocolate hued paneling. Love the open timber ceiling and unique sink stand. 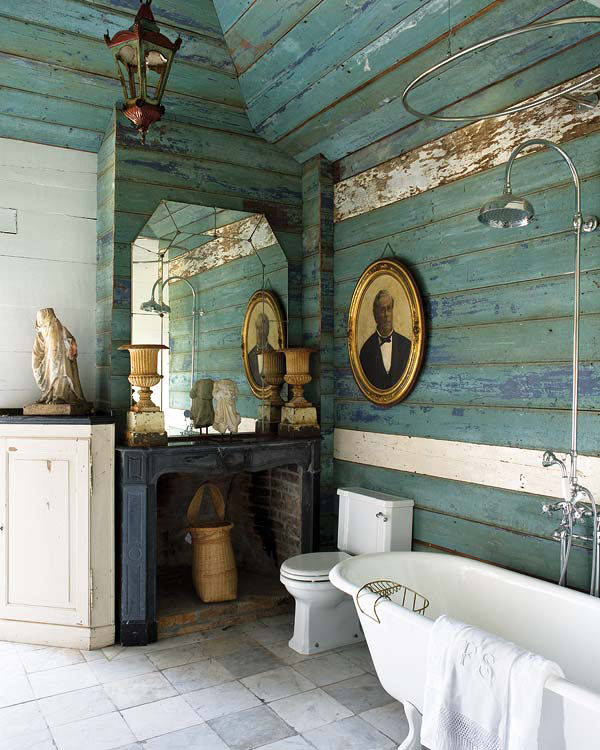 I adore everything about this eclectic and rustic bath (except for that plain ol’ toilet spoiling the fun). Who would have guessed that all these unlikely elements (fireplace mantel, urns, stoic gold framed portrait, oriental light fixture) would have worked side by side? Not for everyone, but that fully planked wall leading seamlessly into the ceiling is ultra labor intensive. Bravo! 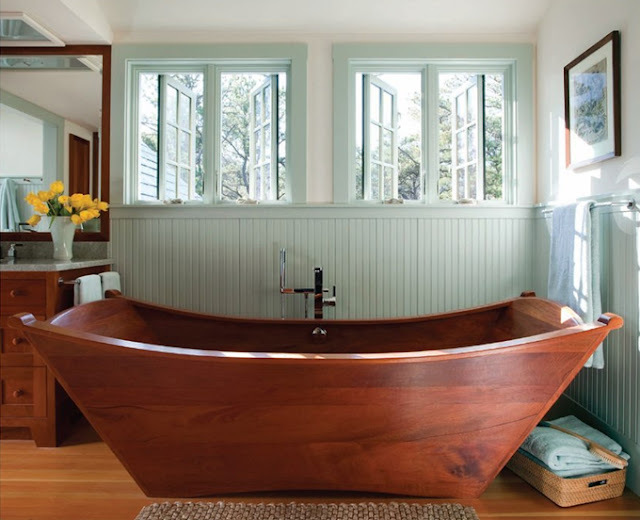 This wide plank flooring, the massive window, the folding shutters, and the entire framework within the room leading into the bath are all clean and stylish examples of multiple woodworks coming together to create a sophisticated space. For the modern minded, sleek and masculine. This bath just screams island don’t you think? 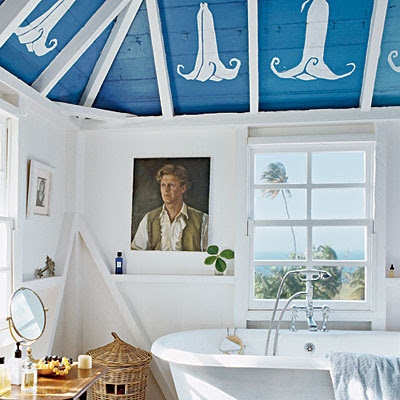 Perfect beach cottage breezy with the blue and white painted ceiling, the painting of a sailor (or my interpretation a such), and creative usage of the wall framework doubling as decorative shelving. 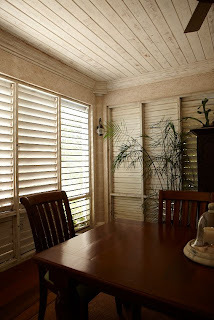 Here in the Caribbean this idea is not just a nice design, it is absolutely practical! 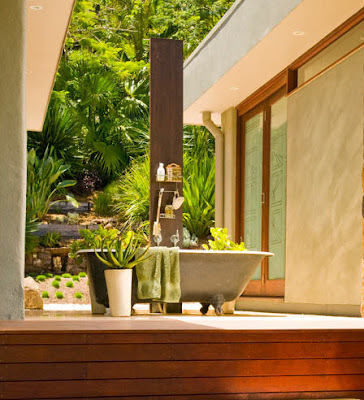 With the right landscaping, an outdoor scrub-n-suds can be private enough to enjoy unabashedly! This post would not be complete without a wood tub. All we have to say is, WOW! What we wouldn’t give to have a client request on of these . . . . This entry was posted in baths, TC Millwork, Turks and Caicos on September 28, 2011 by pepperkeystacie@gmail.com. 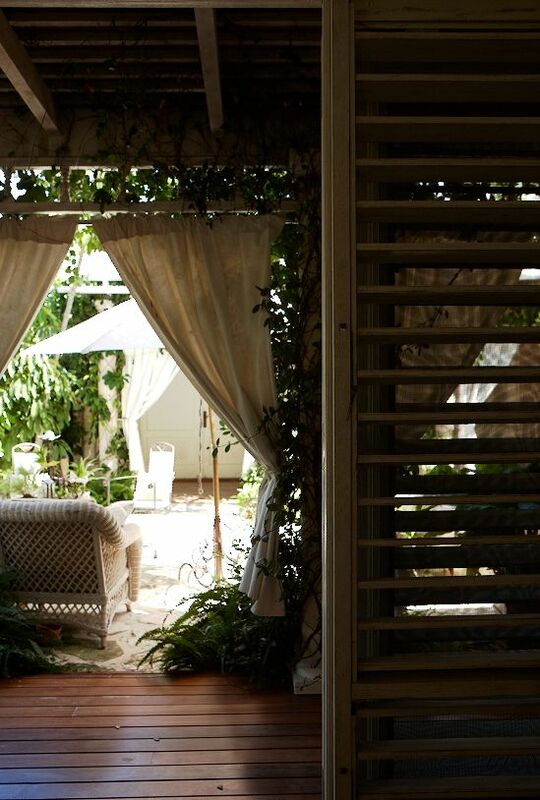 Thinking green is a constant consideration at Fleur de Lys Villa and we hope that our guests follow the same practice. 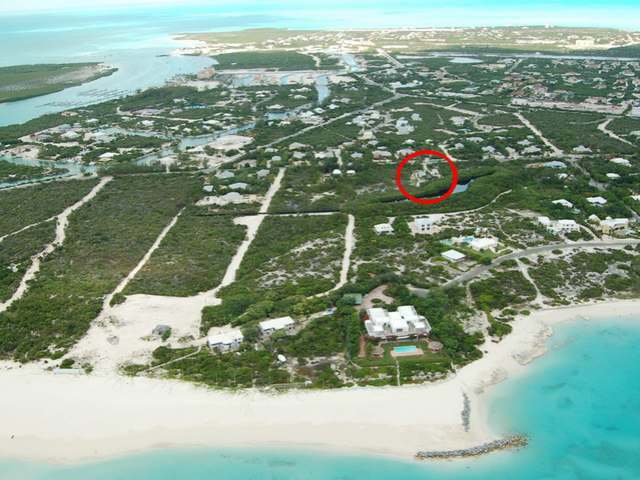 There are so many gorgeous vacation villas in the Turks and Caicos, choosing one can be time consuming and quite the challenge! When we holiday, we like to make certain that we are making conscientious decisions when visiting a new place; where will our hard earned dollars get utilised the best? 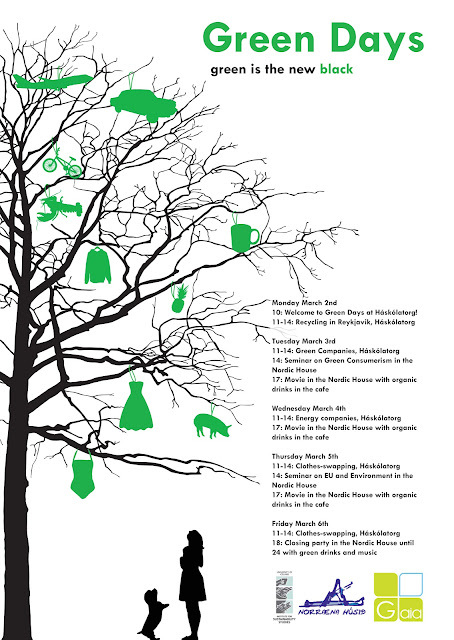 What local businesses can we support to help make a difference in the community? What foods are sustainable? What local charities are in need of assistance? All of these questions usually involve a great deal of research online to answer, and even then, one hopes that the information is honest. We hope to make the process simpler and easier to access for our guests and visitors to the island who may be reading this post. Living here for the last decade, we aim to keep current on these topics and are happy to share the information with like minded individuals who are looking to vacation as eco-friendly as possible. #1 CONSTRUCTION: Fleur de Lys Villa is not a five story hotel with massive energy consumption and excessive waste required to operate daily. The villa is a four bedroom, not too big – not too small, just right sized home owned, operated, and maintained by . . . US! Thats correct, we do all the landscaping, the cleaning, the greeting, the carpentry, the cabinetry, the handyman housecalls (unless time constraints or expertise require otherwise). Both construction and Caribbean architecture enthusiasts, we designed the villa to function ideally in this climate and all the concrete foundations, block walls, insulated roofs, louvered shutters, bi-fold windows, dual doors, patios, pergolas, and balconies attest to that. The layout and location were specifically designed to best utilise trade winds, keeping inhabitants cool in the summers and comfortable in the winters. 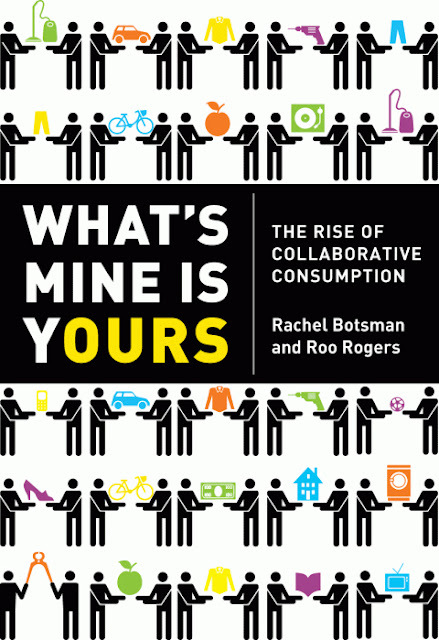 #2 CONSUMPTION: Fleur de Lys is a conservative consumer. All the water heaters are on timers, the split unit A/C’s are designated per room, majority of lights are on dimmers, and appliances not in use are kept unplugged. At an average cost of .50 per kw, energy consumption is not only an ECO concern but an ECOnomical one as well! We encourage our guests to keep the water coolers unplugged as room temperature water is healthier and more hydrating and also to use the more beneficial Caribbean solar line drying versus the power guzzling dryer. We weekly monitor all usage to make certain the precious island resources of water and power are not wasted. #3 REDUCE, REUSE, RECYCLE: We have highlighted above many ways in which we reduce consumption and waste at Fleur de Lys Villa but we also try to reuse our resources. Our gutter drainage feeds a large cistern for collection of rain water, the grey water is recycled for irrigation, and food waste is composted, the nutrient rich soil later fed back to the hundreds of trees, plants, and flowers on property. Avid DIY’ers, the villa is full of reused items, from discarded lumber to louver blades (shown pictured) to Bedroom sets and beyond. We support the Campaign to Ban Single Use Plastic by providing reusable shopping bags and aluminum drinking bottles at the villa for guests use and as of November we are very thrilled to contract TCI Waste and Disposal for our recycling needs! #4 ACT GLOBAL, BUY LOCAL: This is one of the most important and effective strategies for making the planet a cleaner, greener place. 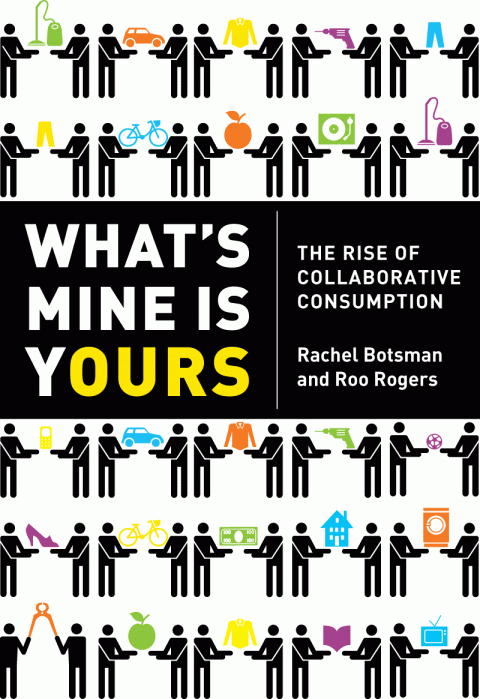 Every person CAN make a difference; you and me, there is no doubt about that WE can change the world with what we BUY. There will be no demand for pollutants the day we stop purchasing them! 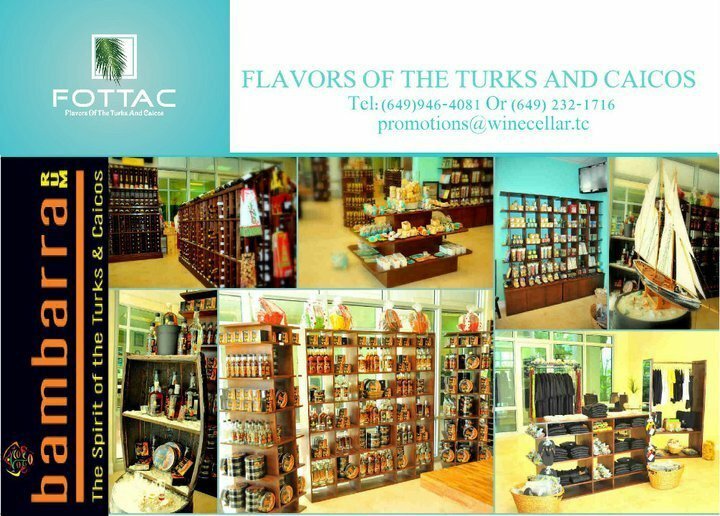 We want you to consume wisely when you are in the Turks and Caicos. Here is a list of recommended options but this blog is full of information on local people, charities, events, businesses, and organisations that could use support. Feel free to do a search for an area or topic that might interest you, this volunteer-in-turks-and-caicos post is a great place to start. big blue unlimited eco adventures – learn about TCI’s unique environment while having eco-friendly fun hiking, kayaking, stand up paddle boarding, kiteboarding or bicycling and support local businesses/people while island hopping. You can be certain the staff will be sure to follow all rules and regulations put in place to protect the National Parks. Ask questions, they are happy to oblige. sail beluga– Sail away on board a unique catamaran that utilises solar power and very little fuel. Twenty-five year veteran and Turks and Caicos Islands enthusiast, Captain Tim, is both a National Park protector and a wealth of history and information. 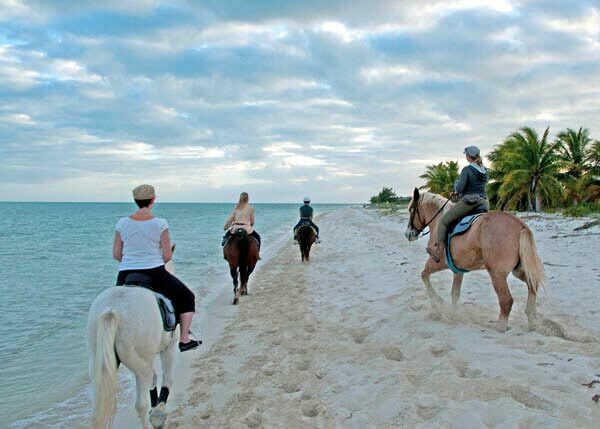 Provo Ponies– Horseback riding on the beach. Started as a rescue operation for abused and malnourished horses and ponies, over the course of seven years two have grown to a healthy stable of twenty-one! Plus dogs, cats, chickens, birds, frogs, fish, and you may even find a rescue in care such as a piglet or baby donkey . . . animal lovers will not want to miss this! -EATING- Look and ask for locally grown produce while grocery shopping; tomatoes, cucumbers, lettuce, basil, cilantro, mint, and other home growns you will find are far more flavorful than those that have traveled thousand of miles and burned hundreds of gallons of fuel to arrive at your plate. Visit the Farmer’s Market at Fresh Bakery, the five-cays fishery for local catches, and the Conch Farm to learn about the island’s only export. Before ordering or purchasing seafood, check SeafoodWatch to find out what is sustainable for the region. Make requests at restaurants for tap water (a steripen is great for traveling), straw free drinks, and styrafoam and plastic free to-go containers. We suggest bringing your aluminum water bottle with you and buying an eco-clamshell at home to travel with. Ask restaurants what local dishes they suggest and inquire if they recycle and if not, why not? Patronise the Greenbean-Cafe, a flagship eatery that boasts eco-friendly products and recycling bins within the restaurant. Be sure to try TCI coffee, island scoop, Turks Head Beer, bambarra rum, and visit Flavors-Of-The-Turks-And-Caicos for a wide variety of locally made products sure to set the taste buds soaring. -SHOPPING- Find all kinds of incredible locally made products while supporting a noteworthy organisation, the tci national trust (see their site for must see cultural and historical sites to explore) at their Souvenir Shop. Attend the Graceway Gourmet Market the second Saturday of the month from 9am to 1pm for a great selection of local art, crafts, jewelry, accessories, eats, and treats. When looking to buy any product, check the ingredients whether it is a food, a beauty product, or an article of clothing. Stay away from ingredients that are toxic to us and to wildlife. 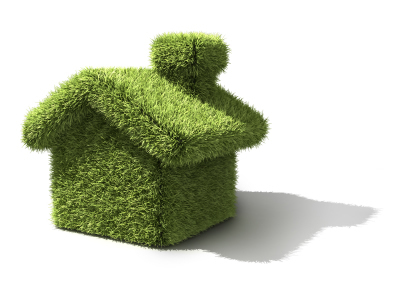 We use as many eco-friendly cleaning, landscaping, and amenities products as possible at the villa. If you have a great product tip, please tell us about it! #5 BIODIVERSITY: Fleur de Lys Villa lies just steps away from one of the consecutively voted best beaches in the world, which lies on a sparkling, breathtaking beauty of an ocean that boasts the the third largest reef system in the world. 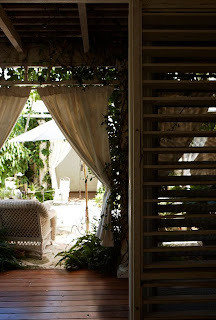 These are well known draws to the destination that have earned the Turks and Caicos the reputation as the new darling of the Caribbean, but what makes Fleur de Lys Villa stand apart from many villas is a unique attribute regarding her location. No, it’s not the beach! There will be no beach traffic peering in the windows to admire the furniture nor noisy passing boats to disturb an afternoon snooze. It’s better than the beach in my book. Fleur de Lys Villa borders a nationally protected reserve which provides a spectacular looking glass into the biodiversity that thrives in this part of the world. On any given morning you are likely to see a bahama_woodstar_hummingbird gathering nectar from the firecracker flowers, a no-bigger-than-a-fingernail frog resting on a courtyard vine leaf, or a vivid green lizard sunning on the deck. The courtyard and extensive landscaping were designed to create a lovely, relaxing haven for humans and the many wonderful Caribbean creatures we are lucky to share it with. Villa guests enjoy unprecedented privacy, there are no neighbors or structures on the left and right flanking properties, and just past the pool lies a forest of buttonwood and red mangroves and one of the best bird watching areas in all of Leeward. 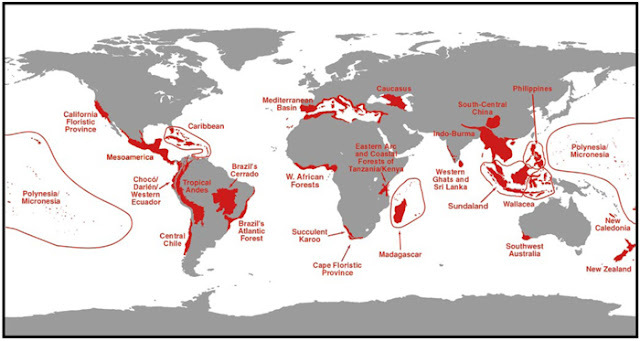 Please read the /wondrous-west-indian-wetlands post and this world wildlife profile to find out just how incredible and rare the Turks and Caicos ecoregion is. Wetlands have many misconceptions, and we want to do our part to educate otherwise. Did you know that wetland areas, like our reserve pictured below, actually help combat mosquito infestation, provide flood control, acts as filtration systems for pollutants, and are living nurseries to wildlife? This part of the world demands to be preserved and protected and one of our many joys and duties with living here is to do just that. We are highly active members of the tci-environmental-club and founders of the TCI Rubbish Runners. This entry was posted in eco friendly, environment, Fleur de Lys Villa, marine biodiversity, native species, sustainable, Turks and Caicos Islands on September 27, 2011 by pepperkeystacie@gmail.com. this is one species you DO NOT want to touch! Catclaw is the common name for good reason; Mimosa bahamensis has hook shaped spikes or thorns that grab and don’t let go! I have many times been caught by this tree while hiking in the bush and can attest that it does not discriminate. It will latch on to heavy duty jeans, cotton shirts, or bare skin. Please watch for out for this tree when exploring in the Turks and Caicos Islands. To read more about this genus and species please see zipcodezoo. This entry was posted in Field Guide Friday on September 23, 2011 by pepperkeystacie@gmail.com. Rigal watching my demonstration, anxious to get his hands on the stapler and screwgun! Way back last November we started the long process of sprucing up the Games Room at the ECGyouthcentre. The process began with tie-dye-classes, which were followed by weeks and weeks of reupholstering and sewing classes in which we recovered ALL of the task chairs with our bright and beautiful dyed creations. And lastly we created a scratch art display to hang on the walls. I think everyone was happy with the results and oh-so-ready to put the major undertaking behind us! Now that the school year has started, Programs Director and all around artsy amazing, Charrish Ferguson, and I have started the fall class schedule. First up- Rock Painting! Students Rigal, Laquisha, Sabeen, Lucendi, Houda, Yandely, and Shanica getting started. Our critters crammed in our paper mache bowl for a group photo! Houda even painted her paper plate! Great job everyone, this class literally ROCKED! This entry was posted in Edward C. Gartland Youth Center, Turks and Caicos Islands on September 21, 2011 by pepperkeystacie@gmail.com.